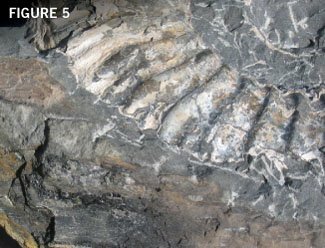 Why Isn’t Radiocarbon Used to Date Fossils? The answer is a matter of basic physics. Radiocarbon (carbon-14) is a very unstable element that quickly changes into nitrogen. Half the original quantity of carbon-14 will decay back to the stable element nitrogen-14 after only 5,730 years. (This 5,730-year period is called the half-life of radiocarbon, Figure 1).1 2 At this decay rate, hardly any carbon-14 atoms will remain after only 57,300 years (or ten half-lives). So if fossils are really millions of years old, as evolutionary scientists claim, no carbon-14 atoms would be left in them. Indeed, if all the atoms making up the entire earth were radiocarbon, then after only 1 million years absolutely no carbon-14 atoms should be left! Most laboratories measure radiocarbon with a very sophisticated instrument called an accelerator mass spectrometer, or AMS. It is literally able to count carbon-14 atoms one at a time.3 This machine can theoretically detect one radioactive carbon-14 atom in 100 quadrillion regular carbon-12 atoms! However, there’s a catch. AMS instruments need to be checked occasionally, to make sure they aren’t also “reading” any laboratory contamination, called background. So rock samples that should read zero are occasionally placed into the instruments to test their accuracy. What better samples to use than fossils, coals, and limestones, which are supposed to be millions of years old and should have no radiocarbon? Imagine the surprise when every piece of “ancient” carbon tested has contained measurable quantities of radiocarbon!4 Fossils, coal, oil, natural gas, limestone, marble, and graphite from every Flood-related rock layer—and even some pre-Flood deposits—have all contained measurable quantities of radiocarbon (Figure 2). All these results have been reported in the conventional scientific literature. Figure 1 Radiocarbon has a very short half-life. At current decay rates, the number of radiocarbon atoms is halved every 5,730 years. Because of this exponential decay, carbon-14 atoms can’t survive millions of years. Figure 2 Radiocarbon shouldn’t be found in “old” rocks, but it is! Once creatures die, the radiocarbon in their bodies should quickly break down. After millions of years, their remains would be completely free of radiocarbon. But samples of organic materials taken from every rock layer, such as fossils, coal, limestone, natural gas, and graphite, all have measurable radiocarbon. These findings are reported in the secular scientific literature (but they are usually rejected as measurement errors). This chart shows the percentage of radiocarbon that remains in 40 samples from various layers throughout the geologic column. (This percentage, technically known as percent modern carbon [pMC], shows the ratio of radiocarbon in the rocks and fossils compared to the amount we find in living things). This finding is consistent with the belief that rocks are only thousands of years old, but the specialists who obtained these results have definitely not accepted this conclusion. It does not fit their presuppositions. To keep from concluding that the rocks are only thousands of years old, they claim that the radiocarbon must be due to contamination, either from the field or from the laboratory or from both. However, when the technician meticulously cleans the rocks with hot strong acids and other pre-treatments to remove any possible contamination, these “ancient” organic (once-living) materials still contain measurable radiocarbon. Since a blank sample holder in the AMS instrument predictably yields zero radiocarbon, these scientists should naturally conclude that the radiocarbon is “intrinsic” to the rocks. In other words, real radiocarbon is an integral part of the “ancient” organic materials. But these scientists’ presuppositions prevent them from reaching this conclusion. Figure 3 Sample from Marlstone Rock Bed, a muddy limestone in one wall of the Hornton Quarries at Edge Hill, west of Banbury in England. Pieces of fossilized wood in Jurassic rocks, supposedly millions of years old, yielded radiocarbon “ages” of only 20,700–28,820 years. Figure 4 Sample from mudstone on top of the Great Northern Seam in the upper Permian Newcastle Coal Measures in the Newvale No. 2 Coal Mine north of Sydney, Australia. A fossilized tree stump, found in Permian layers, supposedly hundreds of millions of years old, yielded coalified bark with a radiocarbon “age” of 33,700 years. Figure 5 These fossils were in mudstone of the lower Cretaceous Budden Canyon Formation near Redding, California. A fossilized ammonite (a marine shellfish) was discovered with a piece of fossilized wood (from a land plant) embedded next to it. Located in Cretaceous layers that were supposedly millions of years old, the fossilized shell and wood yielded radiocarbon “ages” of 48,710 and 42,390 years respectively. As the hardest known natural substance, these diamonds are extremely resistant to chemical corrosion and external contamination. Also, the tight bonding in their crystals would have prevented any carbon-14 in the atmosphere from replacing any regular carbon atoms in the diamond. Yet diamonds have been tested and shown to contain radiocarbon equivalent to an “age” of 55,000 years.14 15 These results have been confirmed by other investigators.16 So even though these diamonds are conventionally regarded by evolutionary geologists as up to billions of years old, this radiocarbon has to be intrinsic to them. 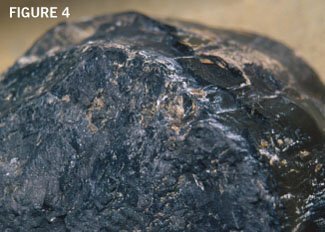 This carbon-14 would have been implanted in them when they were formed deep inside the earth, and it could not have come from the earth’s atmosphere. This is not such a problem for creationist scientists, but it is a serious problem for evolutionists. Evolutionary radiocarbon scientists have still not conceded that fossils, coals, and diamonds are only thousands of years old. Their uniformitarian (slow-and-gradual) interpretation requires that the earth’s rocks be millions or billions of years old. They still maintain that the carbon-14 is “machine background” contaminating all these tested samples. Among their proposed explanations is that the AMS instruments do not properly reset themselves between sample analyses. But if this were true, why would the instrument find zero atoms when no sample is in it? 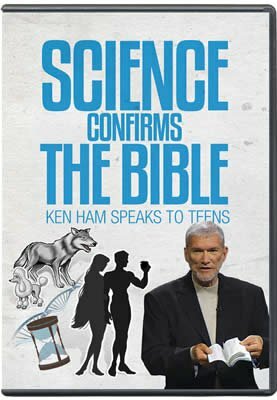 It should be noted that radiocarbon “ages” of up to 50,000 years don’t match the biblical time frame, either. The Flood cataclysm was only about 4,350 years ago. However, these young radiocarbon “ages” are far more in accord with the Bible’s account than the uniformitarian timescale. The discovery that diamonds have 55,000-year radiocarbon “ages” may help us unravel this mystery. 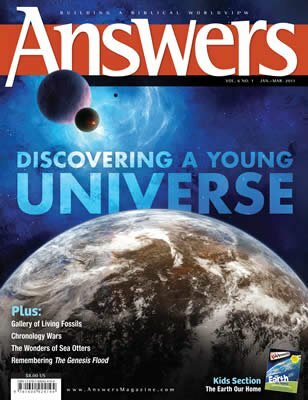 The article in the next issue of Answers magazine will examine how it may be possible to systematically correct radiocarbon “ages.” Once radiocarbon is interpreted properly, it should help creationists date archaeological remains from post-Flood human history, showing how they fit within the Bible’s chronology. S. Bowman, Interpreting the Past: Radiocarbon Dating (London: British Museum Publications, 1990). G. Faure and T. M. Mensing, Isotopes: Principles and Applications, 3rd edition (Hoboken, New Jersey: John Wiley & Sons, 2005), pp. 614–625. A. P. Dickin, Radiogenic Isotope Geology, 2nd edition (Cambridge, UK: Cambridge University Press, 2005), pp. 383–398. P. Giem, “Carbon-14 Content of Fossil Carbon,” Origins 51 (2001): 6–30. A. A. Snelling, “Radioactive ‘Dating’ in Conflict! Fossil Wood in ‘Ancient Lava Flow Yields Radiocarbon,” Creation (January–March 1997), pp. 24–27. A. A. Snelling, “Stumping Old-Age Dogma: Radiocarbon in ‘Ancient’ Fossil Tree Stump Casts Doubt on Traditional Rock/Fossil Dating,” Creation (October–December 1998), pp. 48–51. A. A. Snelling, “Dating Dilemma: Fossil Wood in ‘Ancient’ Sandstone,” Creation (July–September 1999), pp. 39–41. A. A. Snelling, “Geological Conflict: Young Radiocarbon Date for ‘Ancient’ Fossil Wood Challenges Fossil Dating,” Creation (April–June 2000), pp. 44–47. A. 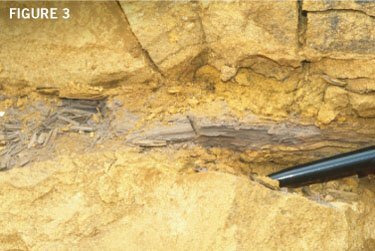 A. Snelling, “Conflicting ‘Ages’ of Tertiary Basalt and Contained Fossilised Wood, Crinum, Central Queensland, Australia,” CEN Technical Journal 14.2 (2002): 99–122. A. A. Snelling, “Radiocarbon in ‘Ancient’ Fossil Wood,” Impact #415, Acts & Facts, January 2008, pp. 10–13. A. A. Snelling, “Radiocarbon Ages for Fossil Ammonites and Wood in Cretaceous Strata near Redding, California,” Answers Research Journal 1 (2008): 123–144. J. R. Baumgardner, A. 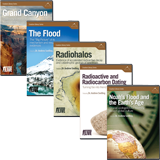 A. Snelling, D. R. Humphreys, and S. A. Austin, “Measurable 14C in Fossilized Organic Materials: Confirming the Young Earth Creation-Flood Model,” in Proceedings of the Fifth International Conference on Creationism, ed. R.L. Ivey Jr. (Pittsburgh, Pennsylvania: Creation Science Fellowship, 2003), pp. 127–147. D. B. DeYoung, Thousands . . . Not Billions: Challenging an Icon of Evolution, Questioning the Age of the Earth (Green Forest, Arkansas: Master Books, 2005), pp. 45–62. R. E. Taylor and J. Southon, “Use of Natural Diamonds to Monitor 14C AMS Instrument Backgrounds,” Nuclear Instruments and Methods in Physics Research B 259 (2007): 282–287.